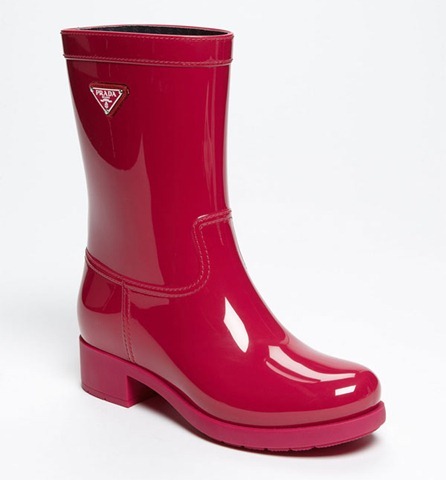 Want a designer rain boot? 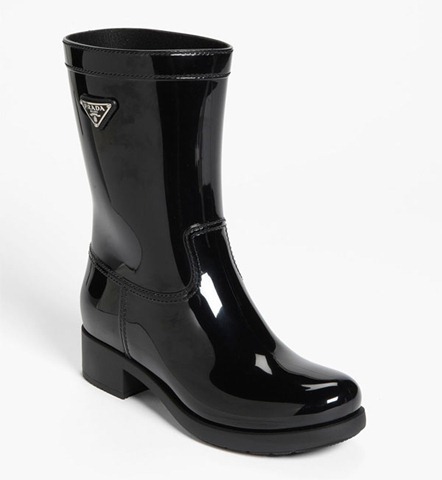 Look to the Prada Rubber Rain Boot, a sturdy and attractive rain boot with the Prada signature logo. For the luxury lover, this is a must have. Available in Magenta, Black, and Navy. When it comes to boots, there are many choices involved. With boots being so on-trend for several seasons now, the amount of items to pick from is overwhelming at times. When looking for new boots (link for shopping), here are four things to think about when deciding what to buy. Do you want high or low boots? 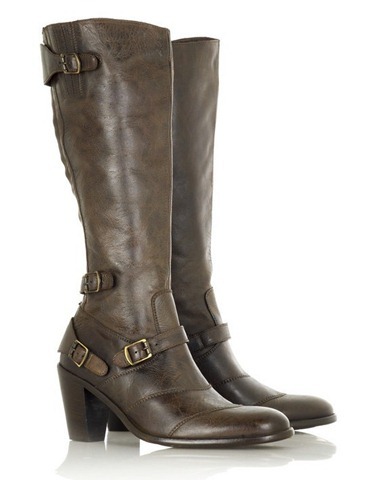 Tall over the knee boots are striking and are in style but can be difficult to wear. They are not as comfortable and they don’t look right with just any outfit. Short boots are cute, but also do not work with every outfit. A good alternative is to get mid calf boots, as those work with most pants and skits and are usually universally in style. Leather is a tried and true material and you really can’t ever go wrong with it. But other materials are in style as well. 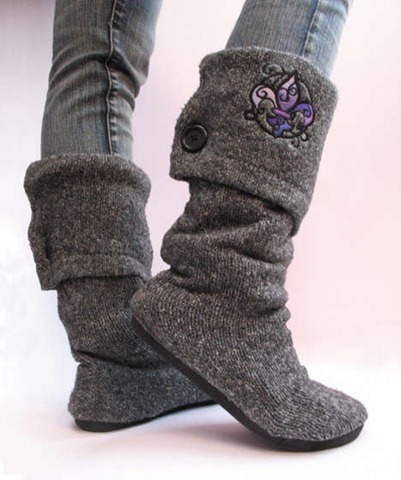 Sweater boots are a current trend, as are suede and fake fur boots. The alternate materials are fun, but keep in mind that they may go out of style before the next season starts. would you wear purple boots? Not everyone would. But for the brave, bright and interesting colors in boots are both fun and on-trend. Like with trendy materials, keep in mind that they may go out of style quickly. Often it is best to spend more on classic styles and look for bargain for trends. For the less brave, stick with neutral brown, black and gray shades of boots. Do you want flats or high heels? Often high heel boots become uncomfortable over hours of wear, but on the flip side, flats often look frumpy. For a good middle ground, look for boots with a thicker, chunky heel. The chunky heel style is normally not so high as to cause arch pain, and there is more support to the sole of the boot for more comfortable wear that still looks fashionable.